California Vehicle Code Section 21200.5 vc punishes a defendant for riding a bicycle under the influence of alcohol or drugs. 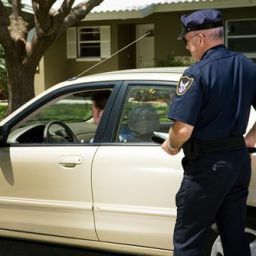 Below our DUI attorneys explainhow this law is enforced. What is Cycling Under The Influence? A conviction of a violation of this section shall be punished by a fine of not more than $250. A woman collided with another pedestrian while riding her bicycle under the influence of drugs in an area of a public park designated for car travel. The woman can be charged with California Vehicle Code Section 21200.5 – Cycling Under the Influence, because she was riding a non-motorized bicycle on a publically maintained road that is open to the use of the public for purposes of travel. How Does the Prosecutor Prove Cycling Under the Influence? You were riding a bicycle2. A person who is riding a motorcycle, moped, or any other motorized device that looks like a bicycle, under the influence of alcohol or drugs, cannot be in violation of Cycling Under the Influence, because only a person who is riding a bicycle propelled exclusively by human power can violate this offense. 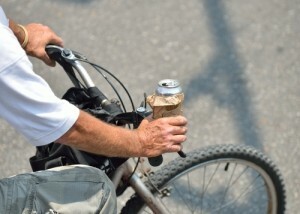 A man is riding his bicycle up and down his own driveway while under the influence of alcohol. 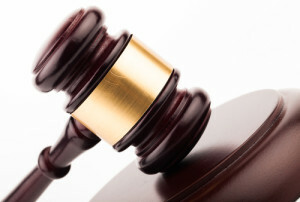 The man is not guilty of the offense, because one’s driveway is privately maintained and is not open to the use of the public for purposes of vehicular travel. A man is riding his bicycle up and down an unpaved area next to his property while under the influence of alcohol. Similar driveways, private ways such as unpaved or unopened alleys, are maintained by property owners are not open to the use of public for purposes of travel. Therefore, in this situation, too, the man did not violate the offense. While under the influence of alcohol or drugs or both4. Operating a motorized scooter under the influence falls under its own laws governed by California Vehicle Code § 21221.5. Under the CUI laws, any person arrested for a violation of this section may request to have a chemical test made of the person’s blood, breath, or urine for the purpose of determining the alcoholic or drug content of that person’s blood pursuant to Section 23612, and, if requested, the arresting officer has to perform the test. How Can You Fight Cycling Under the Influence? Erratic Driving Was Not Due to Being Under the Influence: A police officer has to be able to articulate reasons for having stopped you in the first place. 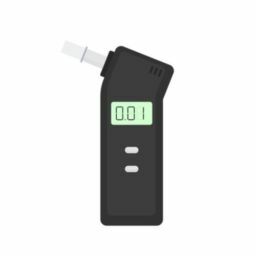 Usually, a police officer will testify that he/she saw you driving in an erratic fashion that closely resembled the behavior of a person who is driving under the influence of alcohol. The officer can also claim that he/she observed other riding behavior that could indicate that the cyclist is under the influence, such as not being able to stay balanced while stopped at a red light; weaving; falling off the bicycle; or failing to follow traffic laws. However, this testimony can always be countered, because a person could be driving in an erratic fashion even though they are not under the influence of drugs or alcohol. For example, riding could be erratic if the road is bumpy or slippery, or if you are riding with an injury that is not readily visible to an outsider. You could also have been tired, sick, or have a medical condition that causes you to ride in an erratic fashion. If this is the case, you cannot be convicted of this offense. Example: An experienced cyclist had recently torn a muscle in his leg and was still recovering from the injury. As a result of the injury, the cyclist could not maintain balance as well as usual while stopped at the intersection. The cyclist had intentionally fallen over onto one side several times to avoid experiencing greater pain of trying to balance himself in mid air. A police officer had observed this seemingly erratic cycling pattern and stopped the cyclist. Because the cyclist’s riding was erratic as a result of an injury, he is not guilty of the offense. Physical Appearance Was Not Due to Being Under the Influence: If a police officer who stopped you, may testify that he/she thought that you were cycling under the influence, because he/she observed that you had blood-shot eyes, slurred speech, flushed face, and smelled of alcohol. 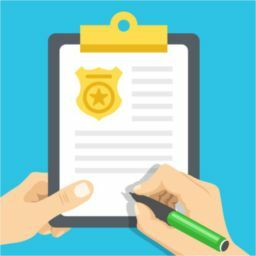 However, an experienced criminal defense attorney can counter the police officer’s assumptions by proposing other reasons that may have caused you to look the way you did a the time of the stop. If any of these procedures are violated, the test results should be challenged as inaccurate, as the resulting BAC may be too high. The CUI laws only apply to highways, which includes streets that are publically maintained and open to the use of the public for purposes of travel. The CUI laws do not apply to driveways and private roads, because those are private and closed to the public. Therefore, one of the arguments that can be made to challenge a CUI conviction is that you were not driving on a highway at the time you were cycling while intoxicated. An offender of California’s CUI laws may be facing a fine of not more than $250 and no jail time. However, as a result, the offender will have a misdemeanor on his/her record. Moreover, if you are under 21, but over 13, you may face additional penalties, such as a suspended driving privileges for a year, or delayed issuance of license for a year. Failure to Ride a Properly Equipped Bicycle: If you are improperly riding your bicycle, you may face an additional infraction charge on your record under California Vehicle Code Section 21201. Under this section, a cyclist must ride a bicycle that is properly equipped. Failure to do so may give a police office an excuse to stop you and put you through a sobriety test. Drunk in Public: Moreover, you may also be charged with California Penal Code section 647(f) for being drunk in public, which prohibits one to be in a condition that he/she is unable to exercise care for his or her own safety or the safety of others, due to being under the influence of intoxicating liquor or drugs. 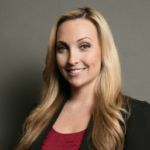 The Los Angeles DUI attorneys at the Aizman Law Firm have the experience and knowledge necessary to fight your cycling under the influence case. We know the science. We know how to find the problems with the prosecution’s case. We have extensive experience and specialized training in all areas of DUI/CUI. Our specialized training on the guidelines set forth by the National Highway Traffic Safety Administration (NHTSA) allow us to achieve successful results in your case. 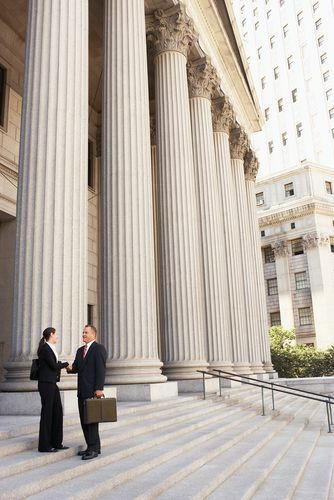 Put a former DUI prosecutor on your side. Contact the Aizman Law Firm at 818-351-9555 for a free confidential consultation.